Readers of HomeKlondike would surely agree that the last year was absolutely dominated by a trend towards eco-friendliness and everything green, literally and figuratively. Fortunately, this trend is still on top and people strive for safety and eco-friendliness in everything, from food and clothes to interiors of their homes. 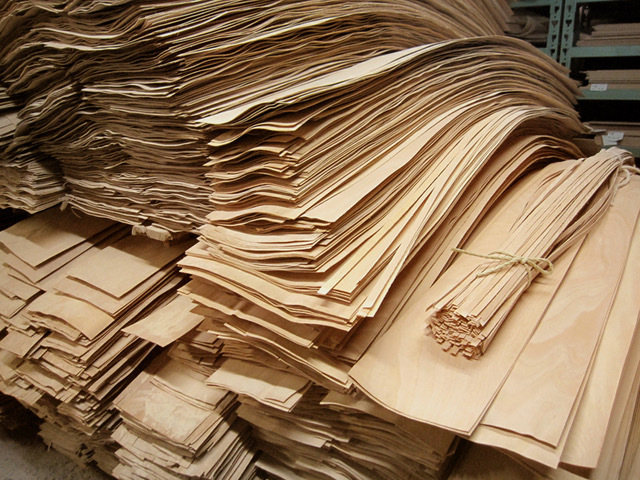 That is why today we decided to devote our post to a new 100% natural interior product. Bunaco is a famous Japanese company that has specialized on unique eco-products for over 60 years. 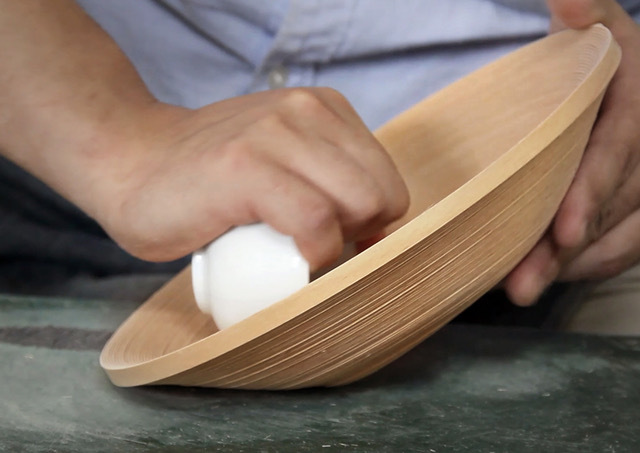 The name of the brand is pretty self-explanatory: “buna” is translated from Japanese as “beech” and all the products the company produces are made from this amazing natural material with their own unique technology. 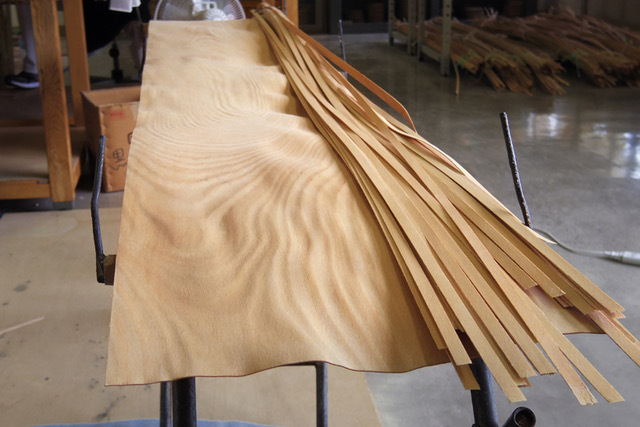 At the factory beech wood is cut into ultra thin (just 1-mm-thick) slices, which are then turned into 1-cm-wide strips resembling flexible wooden ribbons. Those ribbons are actually main workpieces for craftsmen of the company: giving them different shapes they make exclusive and unique products: soft-shaped lamps (pendant, table and floor models), eco-friendly tableware (that can be used for both intended and decorative purposes) and various interior items (lightweight and elegantly designed stools, super aesthetical dust bins, beautiful cosmetics containers and tissue boxes and so on). 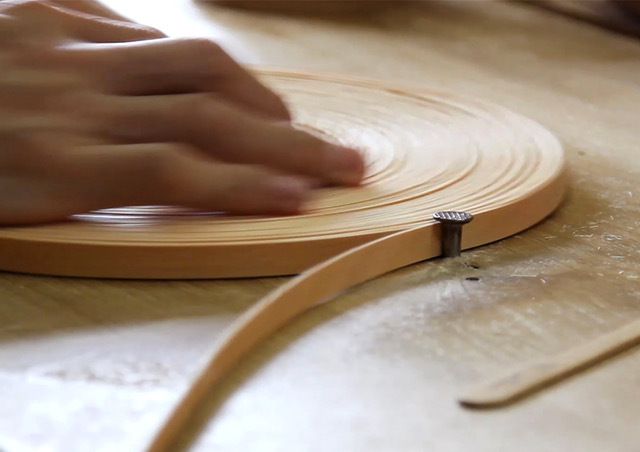 The characteristics Bunaco is most proud of are safety, exclusively natural materials, ultimate Japanese quality and uniqueness of all products, each of which is hand-made. 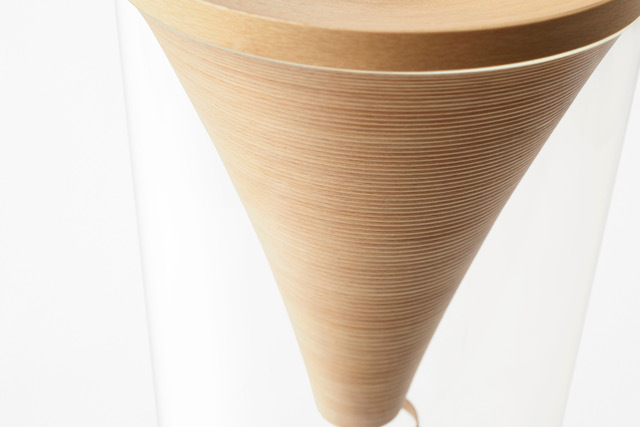 Exploring and testing the features of beech wood, specialists of the company have recently worked out an absolutely new product – speakers that would fascinate all fans of natural interior materials. It has been proven that the shape of inner cavities and sound-absorbing characteristics of beech wood ensure clean and precise sounding. 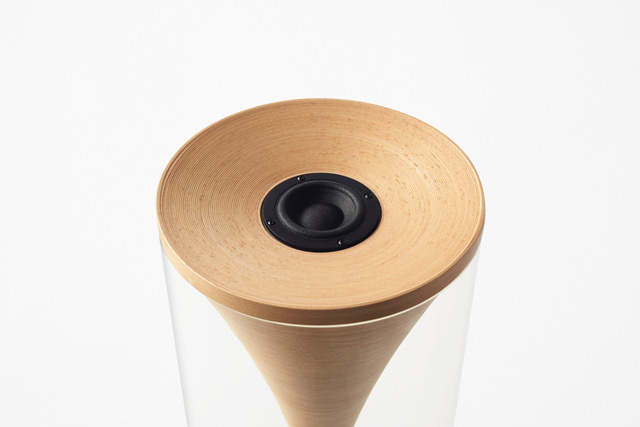 For the sake of aesthetics the new speaker is equipped with a transparent cylindrical acrylic cover. 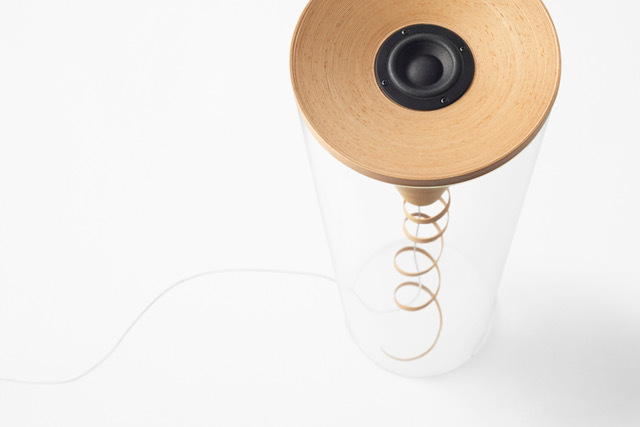 A slim beech ribbon is twisted like a whirlpool masking the wires. 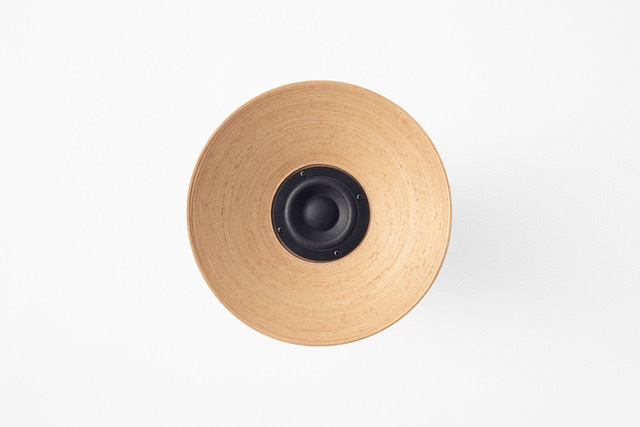 Looking inward, you will notice an unfinished end of a wooden ribbon: it was left like this deliberately, so that users might understand the structure of the speaker instinctively and feel how much passion and mastery was put into this unique masterpiece.